It’s time to celebrate moms and get ready for bikini season. Yes, that’s an odd combination, but it seems to be the best way to describe some of the things I tried this month. My first thought when I was asked to try My Photo was that there are already a dozen great places online that do this: upload a photo and turn it into a gift, or something to hang on your wall. I promised I’d give it a try and it definitely has its unique points. My Photo is definitely the easiest service of it’s kind I have seen. All you need to do is email any picture to 123@MyPhoto.com. Within minutes, you’ll receive an email back showing your photo in different products! I did order Wall Clings. The good news is that the photo quality is the best I’ve seen on any of these services. The bad news is that I got the Wall Clings because their canvases and products are higher priced than most of the others. Bottom line: If you are looking for a really high quality piece that’s easy to produce, give My Photo a try. 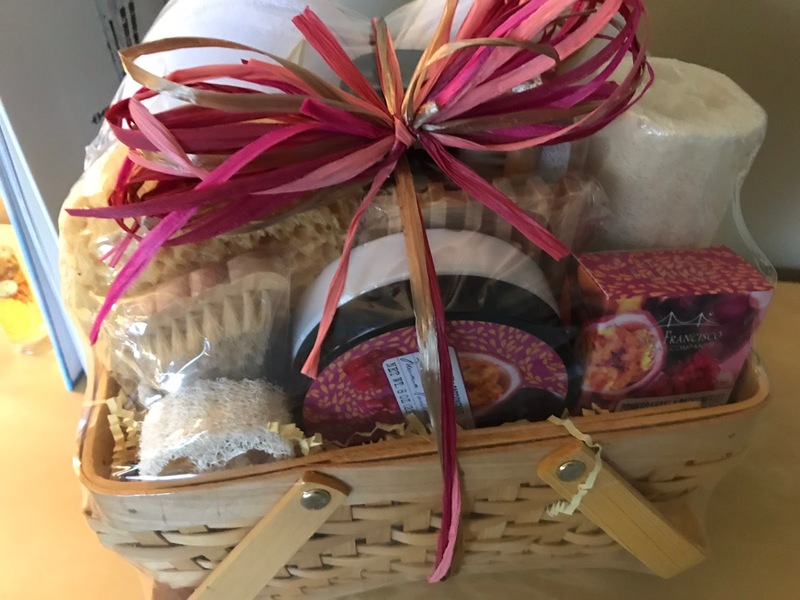 Gourmet Gift Baskets has lots of unique ideas for all holidays, but they sent me one for Mother’s Day that I certainly love. 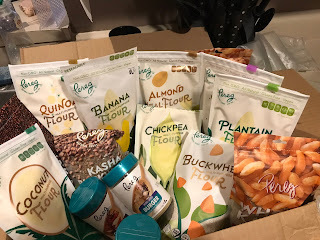 Pereg sent me a selection of healthy products to try out. It’s going to take me a while to get through them all (can’t wait to try the Banana Flour), but I got started creating something simple. Check out my recipe for Blackberry Yogurt Muffins, made with their Coconut Flour. Why limit your choices this spring and summer? How about some vodka cocktails in a can? I was a little confused at first, but the healthy options from Vrai had me ready to test them out and they did not disappoint. I had to rely on friends to sample the Tangerine since I have a citrus allergy, but it was a big hit. I can certainly understand, because I loved the Green Tea. The interesting part is that I don’t really like green tea. This had a bit of fruit-flavor and wasn’t bitter. Be careful because Vrai goes down just like (all natural) iced tea, but 5.5% alcohol can add up if you down too many.